With March’s warm(er) North Carolina weather, comes the early bird lawn gurus, who want to get a jumpstart on beautifying their lawn for the spring and summer months. So what are the best dos and don’ts for your lawn’s early spring startup? Professionally testing your lawn’s pH every 2-3 years will give you a good idea of which minerals (and how much of each) is best for your individual lawn. Hicks Landscape professionals can test your lawn, and advise you as to what is best. Depending on your soils, pH, you may need no lime, a small amount, or a great deal in order to maximize the spring growth. Many homeowners tend to throw down way too much fertilizer at the first sign of green grass growth. In reality, the best thing to do is to apply a light amount of fertilizer in early spring, and then apply a larger dose a bit later in the season, after the initial growth rush. As part of the spring startup process, dead or damaged grass patches should be reseeded in early March or April. The most important thing to do is to provide newly developing seeds with enough water for proper growth and development. Developing seeds, especially early in the season, need plenty of water. See “April Showers Bring May Flowers”. There are over 9,000 species of grasses, so choosing the right one for your lawn may not be quite as simple as you think. Hicks Landscape specialists will take into consideration your lawn’s specific needs, and recommend the best possible choice for you. Grass will grow best at approximately two inches and higher, so keep it a minimum of this height during the first few cuts in spring. Mid-March is the best time to control crabgrass, because it will not be up and growing yet. Once the crabgrass has significantly grown and developed, herbicides will have less of an effect on them. At that point, good ole’ fashion weed plucking may be the best option. Most insect’s life cycles have not yet started in March, as the weather is still relatively unpredictable, and is often simply too cold for insects to survive. The vast majority of insect control tasks can wait a bit later, until the April and May months. But once you start to see those annoying insects in your lawn and garden, you will want to give Hicks Landscape a call, and let us take care of the pest problems. 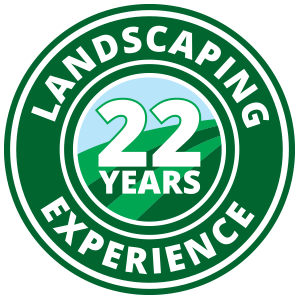 Hicks Landscape will be providing customers with lawn care advice and maintenance tips regularly, to help you keep your lawn beautiful and lush. From Spring Start Up tips to professional Winterization techniques, check back with Hicks Landscape Contractors for additional North Carolina Lawn Care advice.